The mission of Restoration Village Farm is to spread the Word of God and perform good works through Vacation Bible School, faith-based events, work opportunities, and help to the needy. God willing, this will be financed with income generated from eco-friendly farming and agritourism. 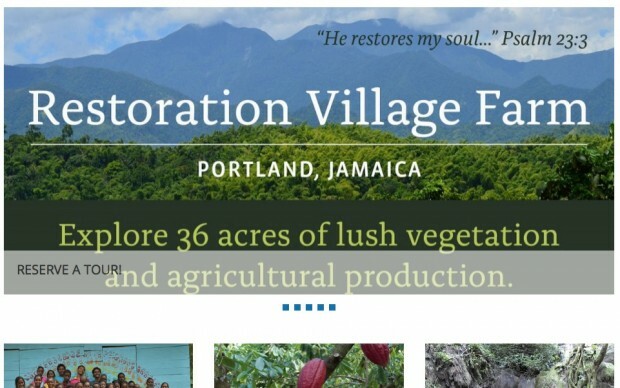 Event Espresso has allowed The Restoration Village Farm to book guided tours of a farm and hiking trail in Portland, Jamaica. The plugin is really easy to learn, when questions were presented the support team was a tremendous help. Using version 4.2.5.p, we created hundreds of tours, saved default tickets, restricted the available quantity of tickets, customized the Event Espresso Calendar, added our own language to the receipt, hid expired tours, linked it with Paypal, and added the Paypal logo of our choice. The calendar clearly shows tours and booking is easy! I'm definitetly excited to start working with the new integration with MailChimp.